These are busy times for Leinster - both on and off the pitch. 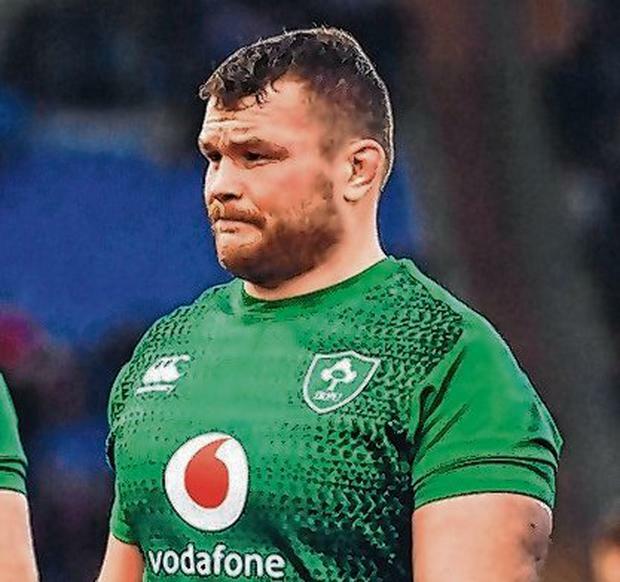 With the vast majority of the public's focus on Ireland's stuttering Six Nations campaign, Leinster are looking to keep their domestic season on track, all the while player contracts are being negotiated in the background. Then there is the small matter of the RDS redevelopment and the continued development of the province's centres of excellence. In this world, there is never time to stand still as with Leo Cullen's side's continued success, the work that is going on behind the scenes is helping drive the club forward. Having just come to terms with losing a stalwart like Seán O'Brien, Jack McGrath's potential move to Ulster is the latest saga to rock the boat. Leinster have become victims of their own success in that regard as they continue to produce top-class players who simply cannot all be satisfied in terms of game-time. "That's a problem for us to solve," CEO Mick Dawson told the Irish Independent. "We have to make it as attractive as possible for people to want to stay here, so in other words, the facilities have to be good, the coaching has to be good and they have to want to play here because they know they are going to get opportunities. "You always get people who when they can't get into the senior team are anxious to move but it's our job to make them not want to move. "It would be a terrible pity if the provinces lost their identity and fellas were moving for money all the time. 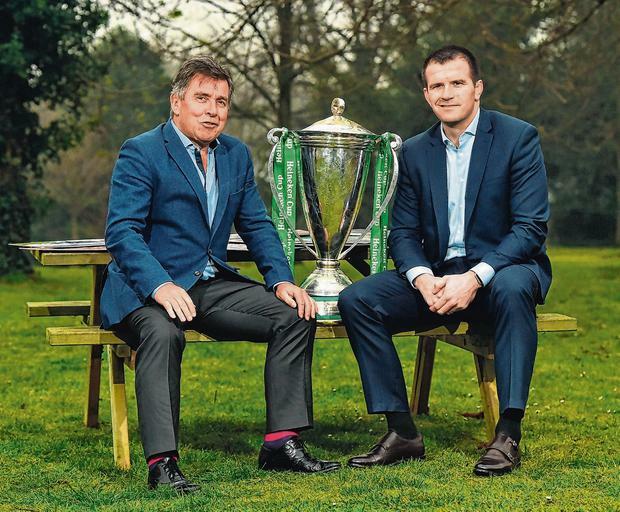 "It gives the Irish provinces a distinct edge over all the other teams. It is something that is very rare if you look at world sport anywhere because professional sport seems to transcend that kind of loyalty. "I would be disappointed to see it (identity) go. I hope we can hold onto it here in Leinster certainly." O'Brien's departure will leave a void and having seen the Tullow native rise through the ranks via an the club route, Dawson is naturally disappointed to see one of their own leave. "There is always something more you could have done (to keep him at the club)," he said. "I couldn't speak highly enough about the influence that Seán has had on everyone around here. "Listen, I can understand why (he is leaving). A three-year deal in London Irish - all I would say is good luck to him and I hope it goes well for him. "Unfortunately professional sport is very cruel, Seán will go and life goes on and we have to get the next Seán O'Brien in." Finding a player to fill those sizeable boots will be a tough task, but Leinster are better placed than any to cope with the loss of such a world-class player. McGrath (pictured) aside, next season's squad has all but been finalised and Dawson revealed that he was not planning on signing anyone from outside the club. "The main new people will be coming in through the system as opposed from outside the system," he insisted. Chief amongst the more immediate concerns is the plan to push ahead, in partnership with the RDS, with the redevelopment of the Anglesea Stand. The stand, which would hold 6,481 spectators, would see the capacity of the RDS increased to 21,000 at a cost of approximately €30 million. With the deadline to submit their application for government funding approaching, it is all hands on deck, according to Dawson. "The application closes on April 17 and we have got Deloitte, who are helping us make the application because it is fairly complex and you want to make sure that you get it right. "The way I would see it is that the advantage the RDS have at the moment is they have full planning permission. 50pc of the dough is secured and they are ready to go. "We would be optimistic that people would look favourably on us. We have met a lot of the Government ministers and the opposition. "We have a dual mandate. It's not just Dublin-centric. We have 12 counties with development officers. You could be looking at it starting by the summer of 2020, if all things went well." The idea of not making Leinster a 'Dublin-centric' club is crucial for Dawson's other ongoing current project as he plans to build centres of excellence around the province. "We are close to finishing the first one in Donnybrook, hopefully by the end of March," he added. "It's going to be 6,000 square feet of a gymnasium, offices, meeting rooms, changing rooms, which will mean that people in the sub-Academy or a lot of our underage teams, will have access to the good facilities and pitches. "So we want to build others around the province as well because we want to make sure that guys who are going to non-rugby playing schools and playing through the clubs and youths system, don't all the time have to travel to Dublin to get the extra coaching the extra gym work that they need. "We're talking to the likes of IT Dundalk, IT Carlow and Kings Hospital. Those type of locations would make it easier for people outside of Dublin to get access to good facilities. "It's hugely important that we realise that there other sports who are also competing for these good players. "We must offer them the best facilities we can and the best coaching we can because everybody is competing for the hearts and minds. You are competing with the GAA, the FAI - we want the best talent to play rugby and we want to offer them a reason to play."